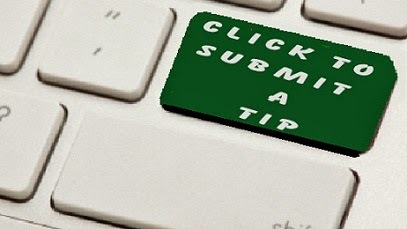 Please contact Cynthia Caron at LostNMissing Inc. Please note: Any media reporting that is not imploring the public to come forward with information, or is not reporting accurate information, or is reporting an opinion will not be added to this list. 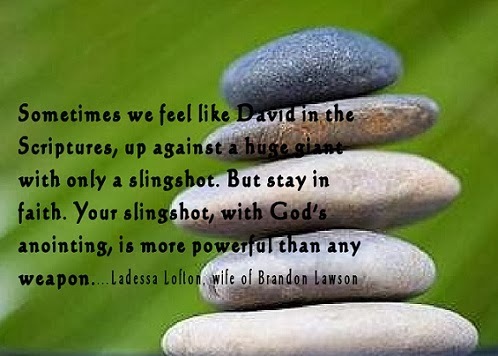 We respect the family of Brandon Lawson and do not feel it is fair to them to see such inaccurate reports that are stating that Brandon is "in hiding" or a "fugitive." 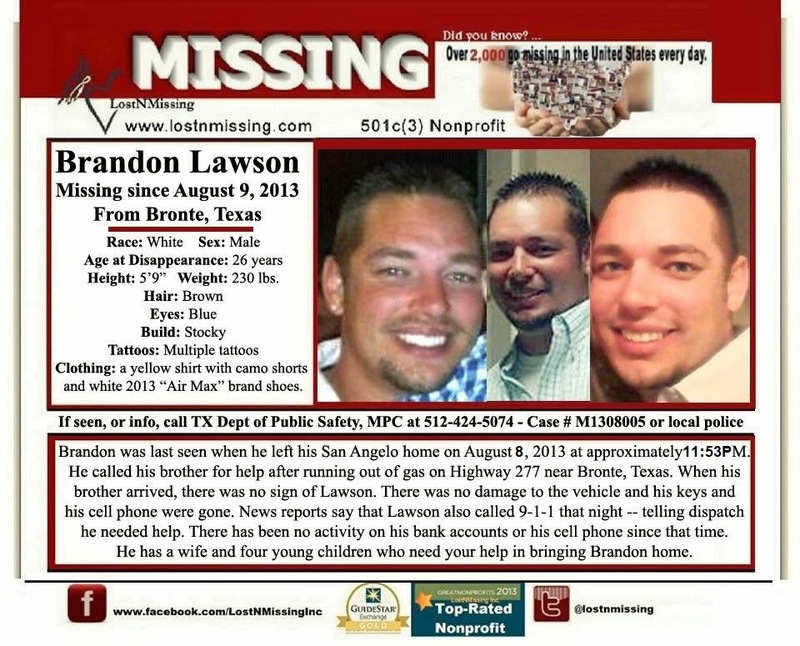 The family of missing Brandon Lawson, age 26, who disappeared near Bronte, TX on August 09, 2013, is asking for the public's help to aid them in solving his disappearance. Distraught wife releases 9-1-1 Call - Can you decipher? determined to do everything they can to find Brandon Lawson.